Most of the questions received are from anglers visiting our area, who enjoy wading and want to know if the Laguna Madre can be waded. My answer to all is a resounding yes. 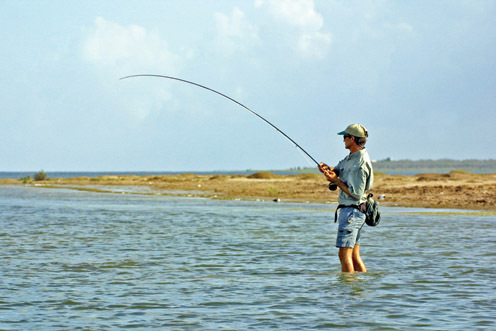 Some have never waded the shallows of the Lower Laguna Madre and want to know how to wade and what they might need to get started. Quite a few anglers would like to try wade-fishing if they just knew the basics. Wade-fishing equipment is fairly simple, and the equipment is simple and relatively inexpensive, such as the first item – boots. These can be special saltwater wade-fishing boots made to be worn with stocking-foot waders like the ones made by the Korkers Company with quick change soles, a plain pair of high-top tennis shoes, or the lighter zip-up-the-side special wading boot. During the cooler times of the year, a pair of neoprene waders will help keep you warm in the cooler water these are found on line at Bass Pro Shops. Later in the summer, shorts and the rubber zip-up wading boots will be all you need. The next piece of equipment would be a wade fishing belt. The belt should have a rod holder and a stringer clip. I have been using a NUMARK model that comes with all the basics plus a Velcro pouch for extra tackle, and a matching stringer clip and stringer. A long stringer will come in handy by keeping your fish away from your legs and make it easier to walk without a constant tugging on your belt. Wade-fishing tackle is basically the same gear you would use in a boat. Some more ardent wade fishermen have started using longer rods while they are wading. The longer rod will let you cast further and present baits better to a fish in the shallows. Wade to within casting range of the fish without splashing. Cast your lure well past the fish then retrieve your lure back through the fish. If they don’t hit your bait you are either fishing your bait wrong manner or you are using the wrong bait. Change your lure and throw again. Don’t move unless the fish do. The most common of the saltwater boogers is the stingray. This flat, bottom-loving creature is found in the same areas as redfish. Many times it’s hard to find one without the other. To avoid a problem shuffle your feet as you walk along. A shuffling walk will nudge him on his way with no harm to you or the ray. Wade-fishing is a fun, relaxing and great way to find and catch a good stringer of reds, speckled trout and flounder. 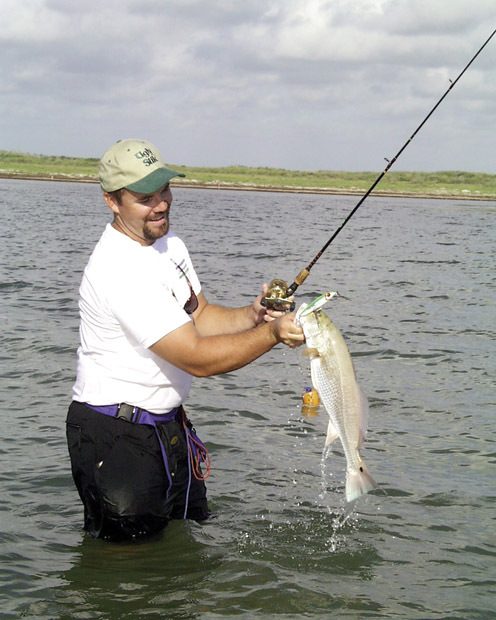 It is easy to master and there are numerous locations to wade for game fish. For more information on Korkers boots, visit www.korkers.com. Now, you have the basics, go get your feet wet. Editor’s Note: To see more of Jim’s writing and photography, visit fosteroutdoors.blogspot.com. If you have comments or news for Jim Foster, email him at jimf06@gmail.com. 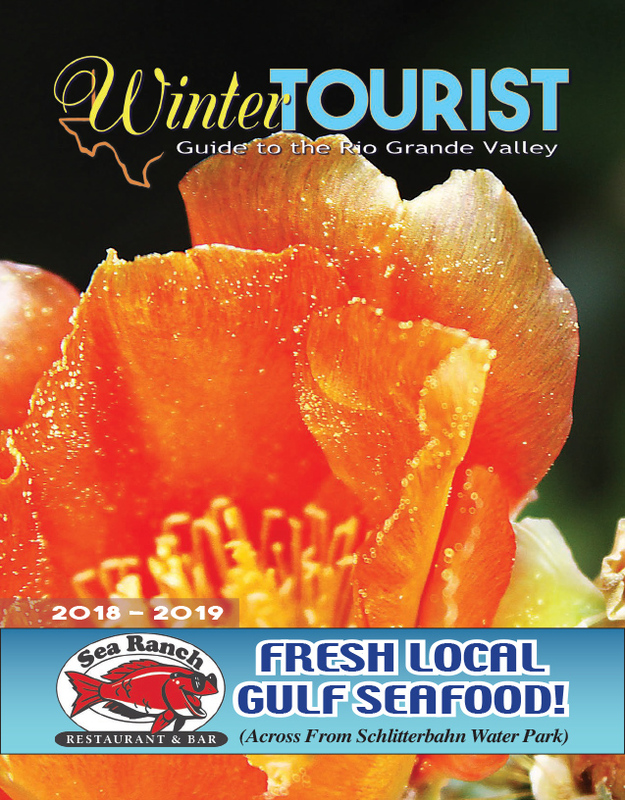 The Lower Laguna Madre sounds like a wonderful place to go fishing, thank you for telling us about this wonderful lake for angle fishing The information you provided is most helpful. Looking forward to reading more.